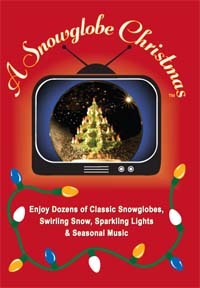 Just wanted to drop you a line to say how much I enjoyed your snowglobe DVD. It's great. It's been on the whole time during the Christmas season and now it's like part of the family. I'm sure you'll be 'snowed under' with orders! I'm now building my own snowglobes, such was the inspiration of your video! I ordered six globes and bases from the US, plus some snow, and am currently experimenting with sealants etc. before progressing to the modelling phase for the interior landscapes.